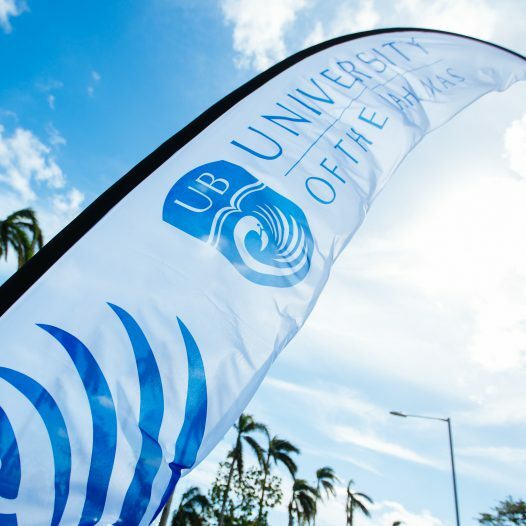 University of The Bahamas (UB) has added another pathway for prospective students to be eligible for admission into the institution earlier in the admission cycle, in fulfilment of the University’s mandate to expand access to tertiary education. The anticipated impact is an increased efficiency in advising applicants about their admission applications in Spring, rather than in the Summer, as was traditionally the case following the release of Bahamas General Certificate of Secondary Education (BGCSE) results. UB’s Academic Senate has adopted a new Policy on Admissions which permits applicants to be eligible for admission into a baccalaureate or associate degree programme based on a cumulative GPA of at least 2.50 for a minimum of two years in high school and one term of the 12th grade or senior year, and the results of a UB placement exam for English and Mathematics. President Dr. Rodney D. Smith explained that by offering this additional option for admission eligibility, the University is improving its competitive edge. “Many of the students who aspire to become university students, and who are submitting applications to institutions, tend to do this in the Spring and receive responses to their applications around the months of March and April. Since UB has been awaiting BGCSE results largely as a determinant for many of our applicants, we have been notifying prospective students of their admission applications in Summer, principally in August. By this time, students, including high achievers, have already heard back from colleges and universities abroad and have already made their choices,” noted President Smith. “With this new policy, we are being more proactive, competitive and student-focused. We anticipate that being able to accept students this early will also increase our appeal to high achieving students who would typically apply to and select their colleges and universities from earlier in the year,” he added. Applicants are advised, however, that BGCSE results are still relevant as they will be used to determine placement in specific subject areas and for acceptance to programmes that have specific requirements. Four BGCSE or equivalent passes with a deficiency in either English or Mathematics, along with a Social Science and a Natural Science subject with “C” grades or higher. A combined SAT score of at least 1000 if taken during and prior to 2005 or a combined score of at least 1000 on the Mathematics and Verbal components of the SAT if taken after 2005 plus a high school transcript with a cumulative grade point average of 3.00 or higher, inclusive of at least one term of the twelfth grade or senior year. A combined score of at least 21 on the Mathematics and Verbal components of the ACT with a cumulative high school grade point average of 3.00 or higher. International Baccalaureate (IB) grade level 4 or higher in English and Mathematics and Advanced Placement (AP) grade level 3 or higher in English and Mathematics with a cumulative high school grade point average of 3.00 or higher. Successful completion of an Academic Enhancement programme at UB or an institution recognised by UB. Mature Student Status with placement at Basic College Mathematics and Writing and Rhetoric I on UB’s placement examination or BGCSE or equivalent passes in English and Mathematics with “C” grades or higher. Transfer Student Status, which is an applicant who must have completed at least fifteen (15) credit hours of college-level coursework, with a “C” grade or higher at an institution recognised by UB and who have a cumulative GPA of 2.00 or higher. President Smith added that this policy adoption will have a positive effect on both the University and students who are preparing for their enrolment. “For the University, having this early admissions process will enhance our ability to plan and execute more efficiently, ensuring that the various academic affairs support and services are projected and put in place for the forthcoming year,” he noted. The new Admissions Policy takes effect in Spring 2019.